Jump-start your morning with our new coffee flavors. 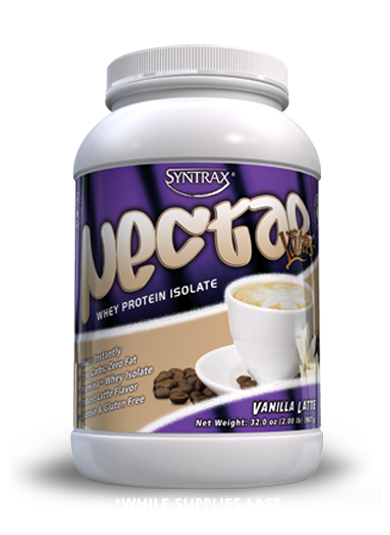 Each scoop of our new Nectar® Lattes Caramel Macchiato and Vanilla Latte is packed with 100 mg of caffeine! 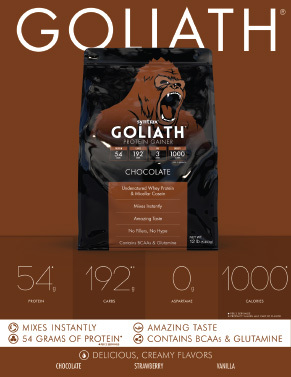 Instead of making a daily coffee run, enjoy a high-quality protein drink that provides all the taste and characteristics of a barista-made coffee. Best Tasting Protein on the Market . . . Guaranteed! 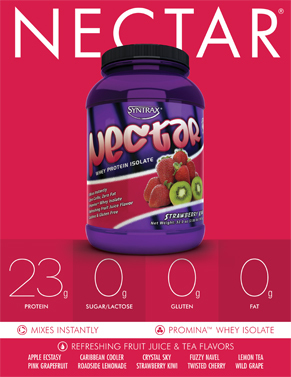 A true testament to the high-quality and superior flavor of Nectar® is its embrace by those in the bariatric community who require daily supplementation of high-quality protein. 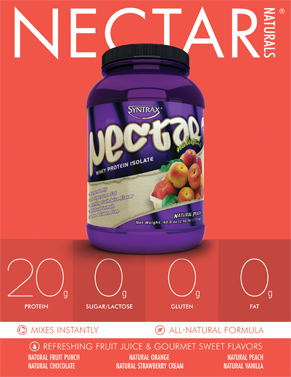 With its mouthwatering fruit juice and tea flavors, Nectar® is truly a protein drink you will look forward to drinking each and every day. 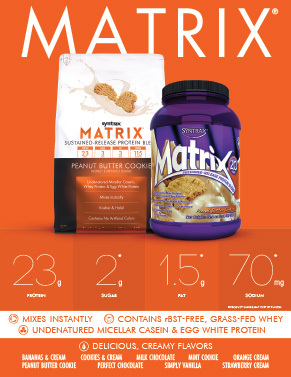 More than simply a whey protein concentrate, Matrix® also contains ultrafiltered and undenatured milk protein concentrate (containing micellar casein), undenatured egg albumin and glutamine peptides. 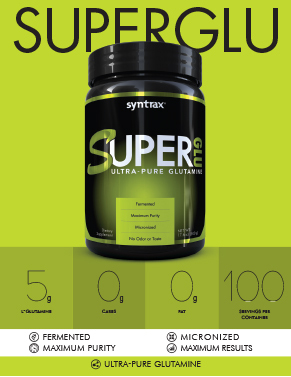 As with all Syntrax® products, this superior protein matrix has the best tasting flavors in its category. Imagine what would happen if the Nectar® name, and the superior quality and taste that it symbolizes, was fused to sweet, scrumptious, epicurean delights that a person might find in a high-end candy boutique or bakery. The result would be an irresistible protein shake with zero sugars and zero fat that would be an absolute pleasure to consume. We are currently offering a one time only, limit one per person special on the Nectar® ‘Variety Sampler’ containing 17 full serving packets. The price is $17 plus $1.99 shipping and handling ($11.99 to Canada); a total of $18.99. Please allow 1-3 weeks for processing and delivery. If you would like to take advantage of this offer, please give us a call at 866-333-7403 x 819. Our hours are Monday - Friday, 8am - 5pm Central time. I would just like to take time out of my day to thank you for making such high performance products! 12 months ago I started taking your supplements to help with weight loss after being classed as obese and having 30% body fat, 12 months later I am at 4% body fat and I am fully ripped and I am even aiming to compete as a body model now, your products helped to change my life around and achieve my goals! I just had to drop a line and thank you for your wonderful matrix products. As a post bariatric patient, protein shakes are a daily must. Thank you thank you thank you a hundred times over for something, well let's just say it like it is, that doesn't taste like crap and is yummy to drink. Rock on you guys!! I love your product. I am so happy to have found it. I had gastric sleeve surgery two months ago and it's quite a challenge to get in my water and protein everyday. 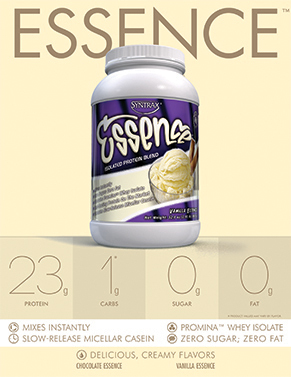 Other protein products typically come in chocolate and vanilla and have a rather thick texture, and also don't travel well in the heat. My favorite flavor so far is Crystal Sky. So, thank you for making a quality product different from the rest. I recommend your product every chance I get to fellow patients and whoever will listen! We are here to serve you. No more worrying about your order or your results. That’s right, the Syntrax® product line is 100% guaranteed! If for any reason you are dissatisfied with one of our products, you may return the unused portion for a full credit or exchange. Orders of $75.00 or more ship anywhere in the continental U.S. for free! If you are ordering from the state of Missouri, sales tax will apply.